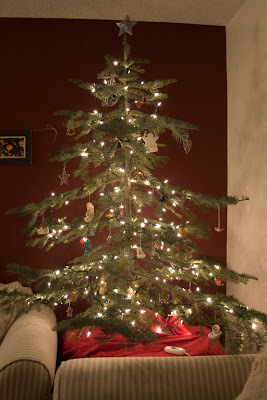 I love the colors of Christmas. Maybe it has something to do with my hometown (but only at 3am), but I really could have Christmas lights up all year round. And I actually did when I was in college! I love the softness that you get with just that little bit of light. Especially the regular lights, not those newfangled LED ones that make everything look blue! Unless of course I'm going with the blue theme, which I sometimes do! Beyond the lights, I just love the color that comes with this season. Around here we usually have snow and it's so brilliantly white in the sunshine that it makes all the other colors more vivid. Or just the rainbow sparkles in the frost and ice on cold mornings. I love Christmas decorations... when they are tastefully done. Everything is "new" for this season. If we didn't decorate this time of year I think we'd lose half the magic. It's a visual reminder of the things we celebrate. What does "color" make you think of? Now, or anytime of the year? And no, we won't talk about all the extra "color" that's been added to my house lately by one little toddler boy! 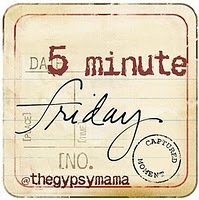 At any rate, I enjoyed reading your thoughts about color from this weeks 5-minute Friday. Of course, I couldn't help but smile when you mentioned about not mentioning the color that your 5 year-old toddler boy leaves around the house, tee hee. Thanks for visiting my blog, The Beauty of Eclecticism. I really enjoyed touring your blog, and am following now! I am also in Washington state! (Though I'm in central Washington.) And I, too, loved to have Christmas lights up in my dorm room. They were a touch of home, and just so friendly when I got back every day. The colors of Christmas are indeed beautiful. Visiting you from 5-Minute Friday. Jumped over here from the Gypsy Mama. I love all of the lights at Christmas too. I'm thinking we should have lights up for each season. God has gifted my life with so many colors. I wish I was better at busting them all out every day. Great post! Color makes me think of my brother, the painter in our family. I always envied his ability to create until I realized the very first Creator made us ALL in His image with the ability to create in one way or another--with words, with a paintbrush, with a voice. We're all artists. Great 5 minutes on color!